The 2018 Yukon Kuskokwim Delta (Y-D Delta) Transportation Plan update was approved on April 6, 2018. The plan supersedes the 2002 Y-K Delta Transportation Plan. This plan is the product of a collaborative effort between the Alaska Department of Transportation and Public Facilities (DOT&PF), municipal and tribal governments and public agencies. The planning effort encouraged and appreciated public input received through community meetings in the region, online outreach to stakeholders and local organizations. The Y-K Delta transportation plan will guide transportation decisions over the next 20 years in the region and promotes safety, livability, economic development, and intermodal connectivity throughout the regional transportation system. The plan addresses the three main modes of transportation; aviation, surface and marine and multimodal means of transportation through various fleets such as planes, all-terrain vehicles (ATV’s), snow machines, barges, skiffs, and automobiles. This Y-K Delta plan provides an inventory of transportation facilities and issues and documents transportation needs throughout the region. The Y-K Delta is located in a remote geographical location, with relatively long travel distances between villages. The Y-K Delta is one of the largest deltas in the world, stretching across 59,000 square miles. Approximately 26,000 residents live in the region, and 85 percent of the population are Yupik Eskimos and Athabaskan Indians, mostly living a subsistence lifestyle. The region includes 56 remote communities, and the largest hub community is Bethel, which is home to approximately 6,300 residents. 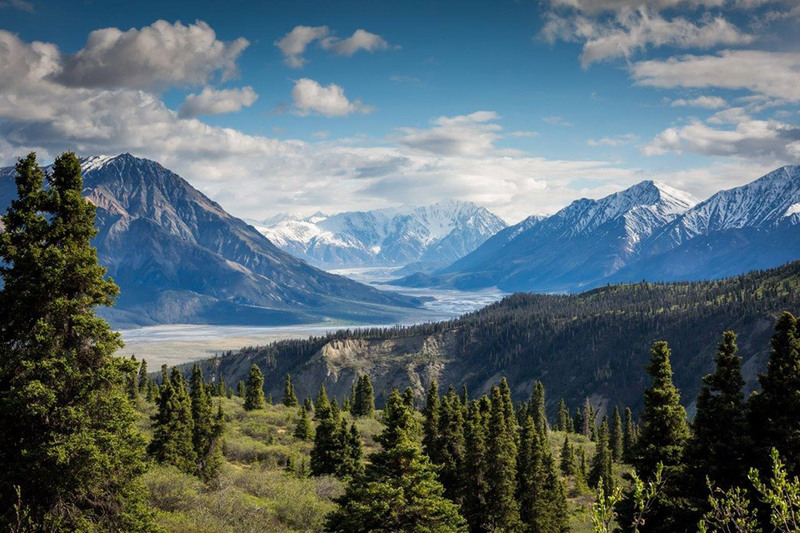 Local governance and services are provided by 56 federally recognized tribes, cities, a regional Native corporation (Calista), and several large regional non-profit organizations, including AVCP and the Yukon-Kuskokwim Health Corporation (YKHC). 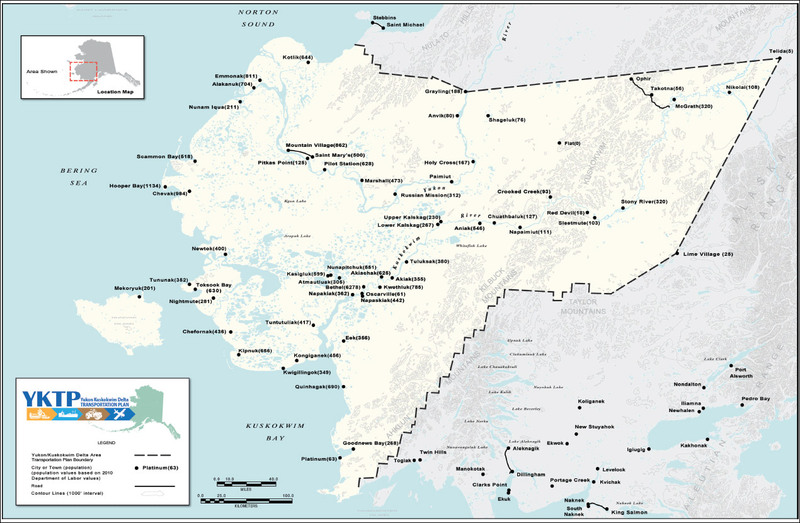 Because communities are not connected to the State of Alaska’s National Highway System (NHS) or the Alaska Highway System (AHS), Y-K Delta residents use a system of airports, rivers, ports, barge landings, and trails for transportation to, from, and within the region. The Y-K Delta plan recognizes that the region is in critical need of infrastructure necessary for daily modern activities including transportation, facilities, housing, water and sewer and utilities. The plan identifies, prioritizes and recommends projects that are intended to improve transportation and increase public safety for each mode of transportation with consideration of the remoteness of the land and lack of stable soils due to wet lowland conditions and permafrost soils.